Power Brake Sales started in 1948 as an affordable answer to repairing brake systems. After 70 years in business that simple idea still holds true, but the business has been expanded and streamlined with modern business practices and principles. 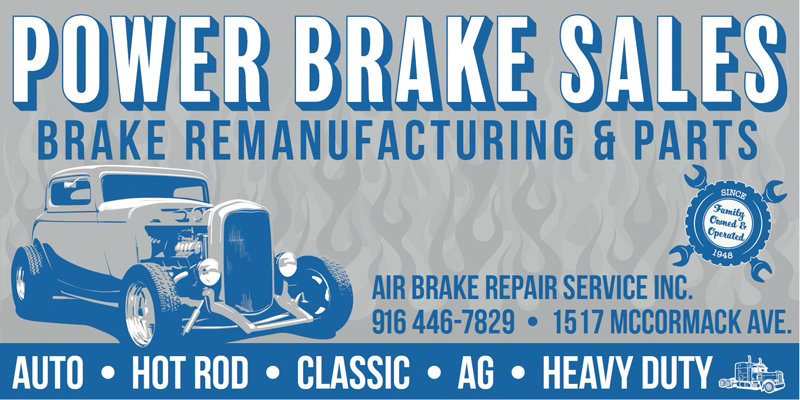 As a family owned and operated small business we are an approachable and responsible team of dedicated professionals providing a much needed alternative to mass marketed high priced brake parts. Our professional technicians and builders have decades of experience and knowledge which translates to an unsurpassed ability to provide reliable parts and better service for you and your vehicle. Did you know that half of our business is commercial heavy duty parts for trucks, buses and agricultural equipment while the other half is cars, light duty trucks and classic cars? Of that business over half of all our work is in remanufacturing the existing original equipment from your vehicle! What many places can’t or won’t repair, we repair on a daily basis. Many places call these units oddballs or obsolete parts while we simply see those units as challenges to bring back to OEM status or better so you can continue to use and enjoy your vehicle. Don’t think we only do the “weird stuff”. Power Brake Sales also offers great solutions for upgrading and improving braking systems with new modern parts designed to stop even the most challenging and difficult vehicles. Simply contact us to discover all the options currently available to improve your vehicles stopping power. Bottom line is; If that part stops your vehicle then Power Brake Sales is a great resource to remanufacture, replace or improve that part. DISCLAIMER: Please note that the OEM numbers are used for reference purposes only, and it is not to be implied that any part, except when specifically noted, is the product of these manufacturer.